Besides watching anything sports related, I'm one of the biggest superhero movie fans out there! Not only have all The Avengers movies been cash cows, but this new installment of The Avengers will be the last for some major actors. It's no secret that Robert Downey Jr. will no longer play Iron Man after this movie, and Chris Evens is hanging up the Captain America shield as well. "Avengers: Endgame" will have some shocking moments just like the last Avengers movie, Infinity War. If you haven't seen "Avengers: Infinity War", I highly recommend it because in a couple weeks Avengers: Endgame hits the theaters. The next chapter of this mega Marvel movie hits the movie theaters in on April 25, and this sequel should do some monster numbers at the box office. Avengers Infinity War did more than $2 billion, and what is coming out of Hollywood is they are expecting another billion-dollar mega-hit and for this movie to break box office records. Endgame directors Anthony Russo and Joe Russo have been silent and have not mentioned if any characters die in this new installment. You figure we will see some shocking deaths just because of how the last movie concluded (no spoilers here). Some of the propositions have absolutely no betting value, but two or three of them will make you scratch your head. Here are the six "Avengers Endgame" betting odds over at MyBookie and Bovada , and I actually break them down and tell you if they have any betting value. Will Capitan America (Chris Evans) Die in Avengers: Endgame? My Lean: The 'No' is the favorite on will Captain America die in Avengers Endgame, and I'm actually shocked that the 'No' is not around -600 or higher. Captain America does survive this, but I do see a major character going south towards the end of the movie. Take the 'No' -400 and have a nice weekend of free money. Will Iron Man (Robert Downey Jr.) Die in Avengers: Endgame? My Lean: Again, this is not a spoiler and just my two cents! If someone dies in this movie, I see Iron Man saving the world but can't save himself. Some shops have this proposition -220 or higher on Iron Man dying, so getting this number is great value. Like I said up above, we all know this is the last time we see Robert Downey Jr. put on the Iron Man outfit, and that is why I believe he dies in Avengers Endgame. Will Deadpool Make an Appearance in Avengers: Endgame? My Lean: This proposition is posted over at Bovada, and if you're looking for a possible plus-money movie winner this is your bet. Will Antman Kill Thanos? It's a long shot, but give a small wager on the 'Yes' +300. 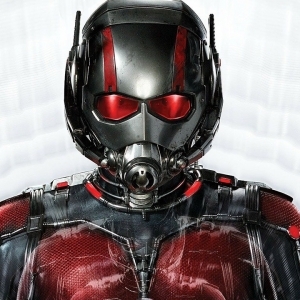 Rumors are swirling that Antman kills Thanos, but if he doesn't do it himself it will be a group effort. Will Thor (Chris Hemsworth) Die in Avengers: Endgame? My Lean: Chris Hemsworth's contract ends as well, but I see him having the same fate as Captain America. The God of Thunder is one of the old guys in the Marvel Universe movie franchise, so maybe he will go south in Avengers: Endgame, but I only see one major character dying and that is Iron Man. Another reason why I believe Thor doesn't die is that he has expressed interest in doing a fourth Thor stand-alone movie. I see that happening because of the success of the last Thor movie. Take the 'No' as Thor and his muscles survive. My Lean: Avengers: Infinity War did 85 percent on Rotten Tomatoes, and with all the buzz going on with this installment I see Endgame scoring just like the first Avengers movie did (92 percent). Too much buzz for this Marvel movie to score low, and I'm actually going to take the 'Over' 87.5 as I see Endgame scoring between 89-91 percent. Raphael Esparza is one of the best handicappers in all sports. This weekend Esparza will have plays from NBA Playoffs, NHL Playoffs, MLB Baseball, Soccer, Boxing, UFC and don't forget this Saturday he has Horse Racing picks from the Lexington Stakes, and Arkansas Derby. Last weekend at the Horse Race track Esparza racked up over +1,600 in cold hard cash and he is looking for another dominating day at the track. New clients can take advantage of Doc's no-hassle $60 free picks offer and get Esparza's weekday picks .